WE PROVIDE THE accredited and internationally recognised certificated practitioner training course in Rebound Therapy in the UK, USA, Australia, Canada and all English speaking countries. This training course will equip you to run Rebound Therapy sessions for the benefit of your students with disabilities. FOR SCHOOL, CLUBS and centres who have a group of candidates who require the training course, we provide a tutor to run the course in house at your venue. 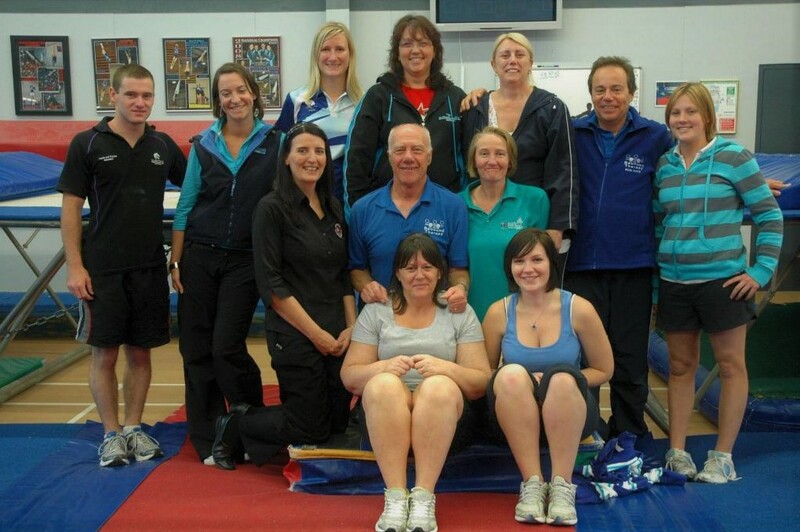 We can take up to 12 candidates with one trampoline or 16 with two trampolines available. FOR INDIVIDUALS AND SMALLER GROUPS, OPEN COURSES are provided in the UK, USA, Canada and Australia. STANDARD COURSE. This is the full course offered as an online and distance learning programme for candidates outside of the UK who do not hold a qualification in a related subject. PT/OT/COACH COURSE. This is for candidates who hold a Physical Therapy, Occupational Therapy, Gymnastics coach or Trampoline coach qualification recognised in their country. COMPLETION OF EITHER OF THE ABOVE OPTIONS will provide the candidate with the Level 2 Rebound Therapy Practitioner certificate. The training course will equip teachers, health and medical workers, coaches, therapists and even parents to provide Rebound Therapy for their students.